My friend Quynh is moving to Hawaii, so she is being forced to downsize her belongings. Knowing that I’m a skate nerd she asked if I wanted 2 boxes of girls skate clipings and photos she had gathered over the years. Yes please! 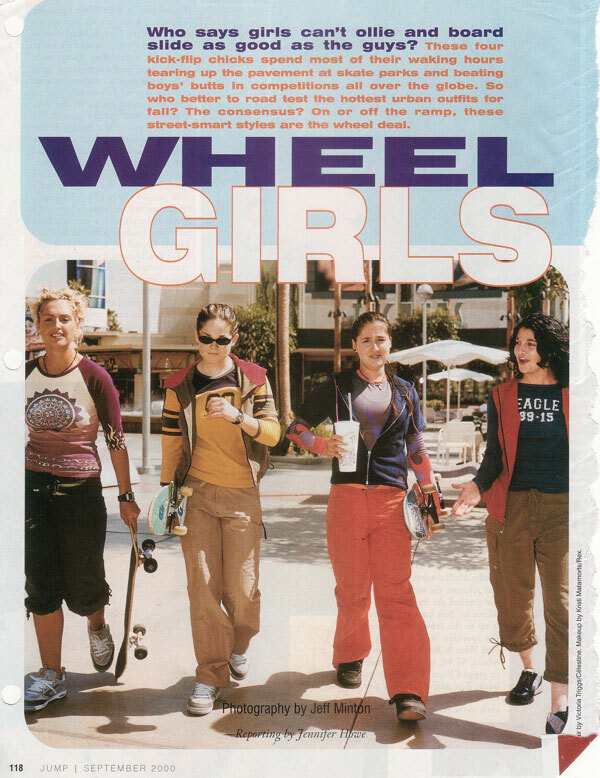 “Wheel Girls” just might be my favorite so far. Now I have a pretty intensive collection, but somehow I missed this gem. Lindsi Thompson, Amy Caron, Ana Paula Negrao and Jessica Krause rocking some awesome gear. I seriously can’t stop giggling to myself when I look at this. I’m sure they will all thank me for posting this on the internet for all the world to see.